“Captain Pick-a-card” joins the Kitchen Table Conversation with Gina and Katrina on Oracle Soup podcast, exploring the wide world of possibilities with our cards. 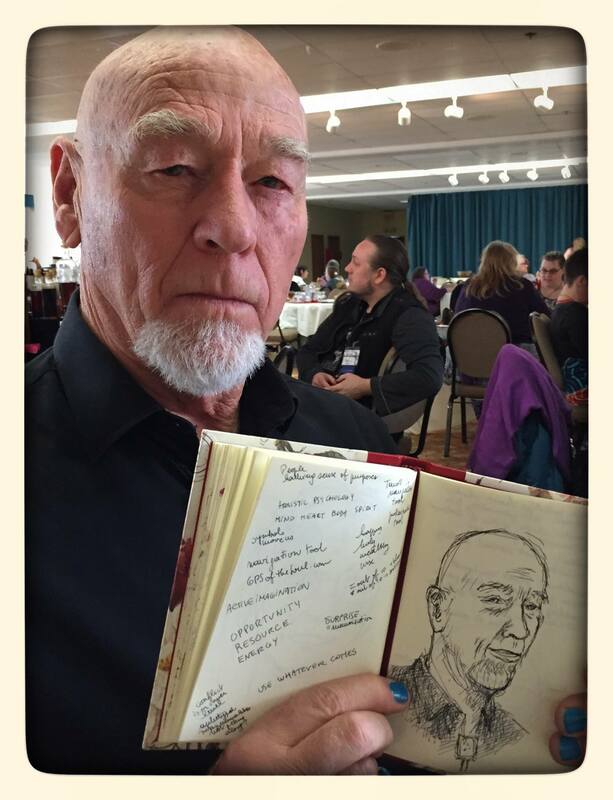 We were fortunate to catch up with James between flights as he galavants across the world, teaching in the US (Northwest Tarot Symposium in photo above), Japan (second cute photo), China, Taiwan, and many other wonderful locations. Pingback: Oracle Soup – 50th Podcast | MY SACRED JOURNEY . . .